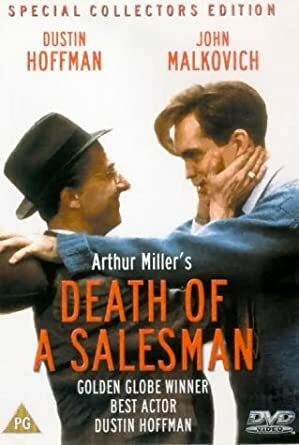 Plot: The Salesman Willy Loman is in a period of crisis of his life. He’s about to lose his job, he can’t pay his bills. His sons Biff and Happy haven’t any respect for him and it seems they don’t rise up life in the best way. He ask himself what went wrong and how he can make things up to his family. The Blue Whale Game: what do we know about it? Miller offers us simultaneously a portrait of a lost individual, a drama about fathers and sons and a critique of the capitalist system. A really good movie, thank you for the advice! thank you EPA suicidology for this suggestion!!! The movie talks about a real actual problem in an interesting and stimulating point of view!!! Thanks a lot for the suggestion! Thanks for the suggestion! I read the book many years ago and never saw the movie , nice one. I saw this film many times and in every occasion it brought to me new emotions.